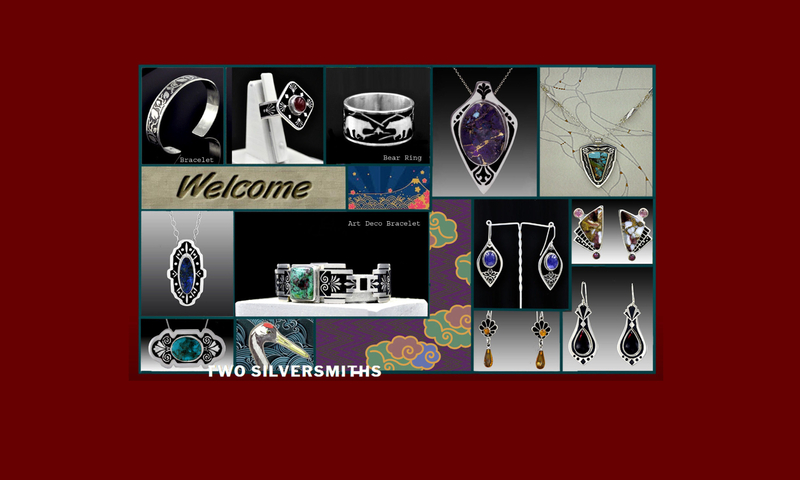 Visit this page often to stay up to date on news about Two Silversmiths and shows and events in which Two Silversmiths will be participating. August 30 through September 14, 2018, we participated in the Bring Us Your Best XV, an annual all-media visual art exhibition at Blue Ridge Community College. This event is sponsored by the Arts Council of Henderson County. Our entry was a three-piece display of “Wearable Art” — Art Deco Moderne pendants we named “Emilie,” “Camille” and “Zelda” shown in three hand-crafted Art Deco inspired oak cases with etched sterling ornamentation from our studio. All were displayed so that one could easily remove a pendant, wear it, then return it to its wall-hung box. We were pleased that the “Camille” pendant/display box was awarded the Honorary Mention ribbon in our category, the first time jewelry had won an award at Bring Us Your Best.